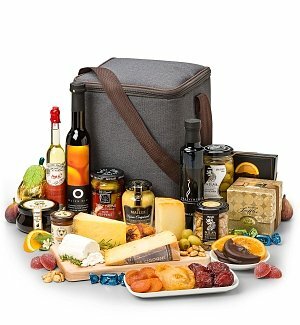 Unique And Unforgettable, This Gift Is Sure To Delight Friends, Family, Co-Workers Or Even Your Favorite Hostess. Celebrate All Of Their Special Moments With This Delicious Collection Of Treats, Beautifully Packaged In A Reusable Hand-Tied Sea Grass Basket. From Amazing Fruit, Like Sweet Mango, Crisp-Tart Granny Smith Apples And More Fresh And Dried Finds, To Their Favorite Chocolate-Covered Snacks, Sweets And Nuts, Each Fabulous Find Will Remind Them That The Best Things Come In A Basket From Shari's!